disadvantages, by the end of first year every student has a fierce allegiance to their particular dorm. at the chance to brag about my former home. Some of my hallmates and I in front of the New Dorms area on Alderman Road. Practically sparkling. They were built with modern technology, design, and lifestyles in mind. turn on and off in common areas, and brand new bathrooms. Balz-Dobie, my former “New Dorms” home. Photo courtesy of Housing and Residence Life. “cooler”, allowing you to adjust the AC or the heat according to your individual living style. space for everything I needed. can be pretty chilly, these study rooms came in handy. A lounge (left) and a study room (right) in my dorm. Photos courtesy of Housing and Residence Life. approximately 10 washing machines and 10 dryers with multiple settings (delicates, colors, whites, etc.). laundry room when it’s raining, cold, or late and you just can’t put off doing your laundry any longer. up leftovers, or storing ice cream in a freezer. students have taken from their respective New Dorm. The view from Lile-Maupin dorm. Photo courtesy of Biogrounds. The view from Kellogg Dorm. Photo courtesy of Felix Park and UVA Arts. While dorms can simply be a place where you live, they also can be a great place to make friends. 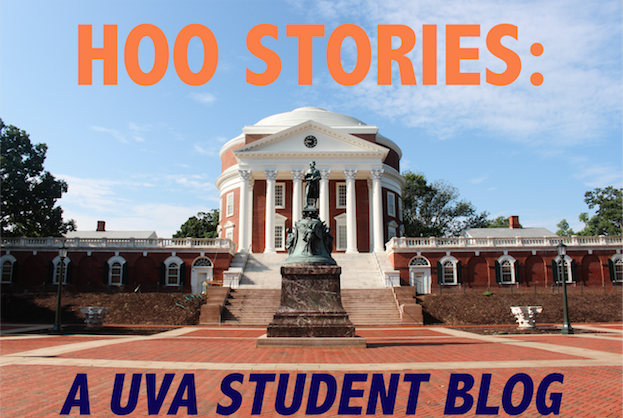 I am an out of state student and before moving in last August I did not know a single person at UVA. have a home in your first year dorm.